I worked hard to create a realistic and accurate back-story and setting, creating an undersea lair for the Aqueosity felt important to me. I wanted a place that exuded a mystical aura, but that wasn't played out (like, the Bermuda Triangle or Atlantis, for instance). I decided very early on that it needed to be a natural structure, unlike any other previously known, and I set to work researching viable options. I stumbled across information about Triple Junctions - geologic spots where three tectonic plates all meet. The most fascinating was the Chile Triple Junction: which is the only structure of its kind in the world. 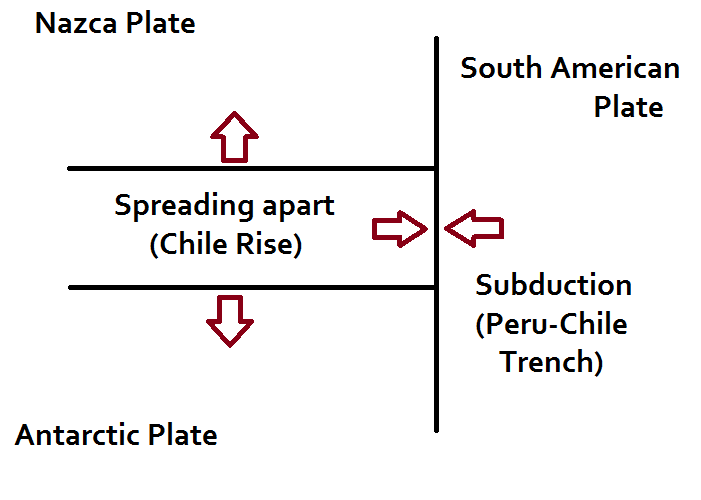 At this location, the Nazca Plate and the Antarctic Plate are spreading apart from each other, creating the Chile Rise. 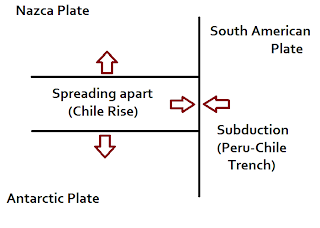 The Chile Rise, however, is being subducted underneath the South American Plate. So in this one location, new earth is being created by spreading sea floors, and then immediately consumed again by the same forces: it's a geological Ouroboros. I incorporated this spread-consume motion into descriptions of the Aqueosity's blissful movements, as though to somehow imply that it was causing, guiding, or even just coasting off of the movement of the plate tectonics. In most of the losing scenarios, I implied scientists harvesting energy from the Aqueosity's perpetual churning. However, I didn't want to bog players down with forced backstory, so I just presented them as inconsequential details that are rewarded to inquisitive players. I wanted to create a world where the backstory was a tool to add to the narrative instead of a roadblock to handwave away. I wanted something where if someone had lore questions, I would have lore answers.